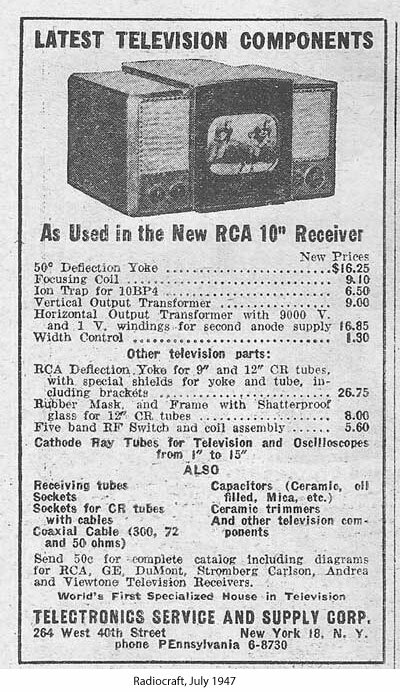 In the late 40s and early 50s radio and television magazines advertised complete chassis (manufacturer's overstock) for sale. 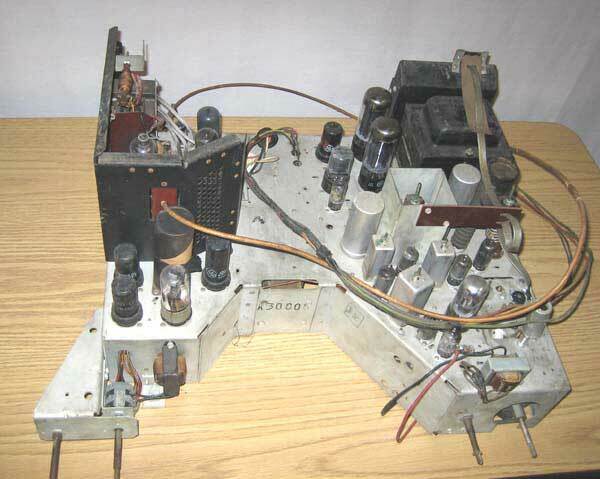 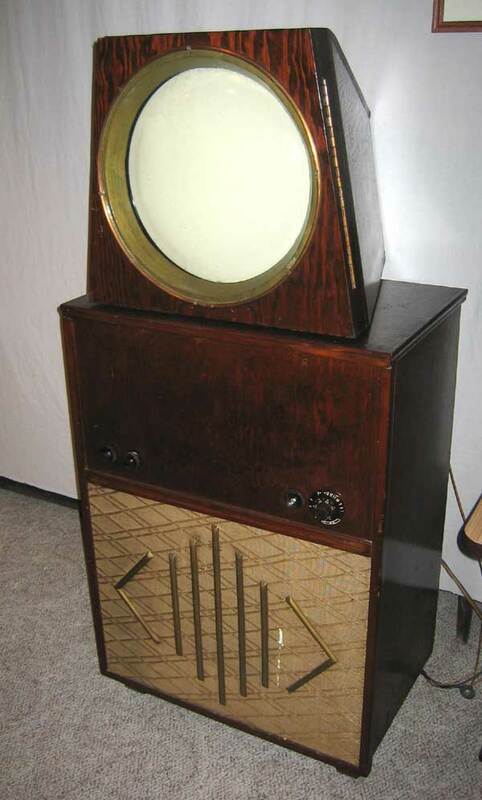 Many of the chassis were variants of the RCA 630, with options to operate picture tubes up to 19 inches. 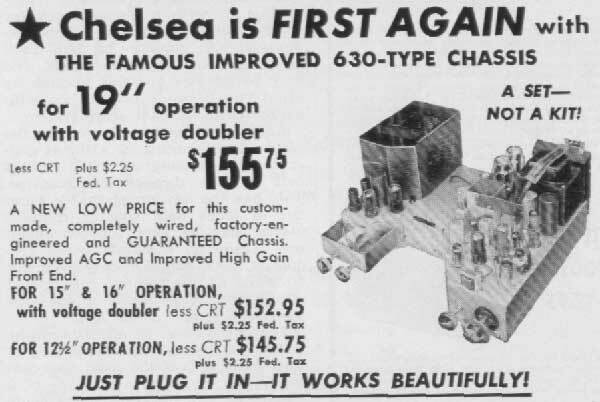 This set was made using such a chassis. 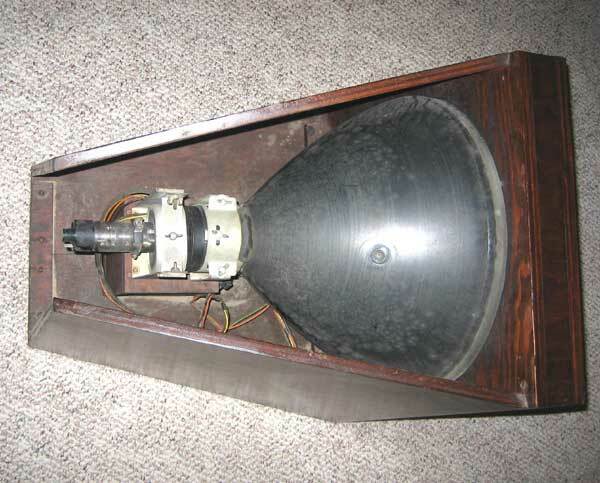 The CRT (16 inch) is mounted in a separate housing, with the chassis and speaker in the larger cabinet on the bottom.